The Arnolfini Portrait. The Arnolfini Portrait Von Jan transporter, van Eyck, 14th century. 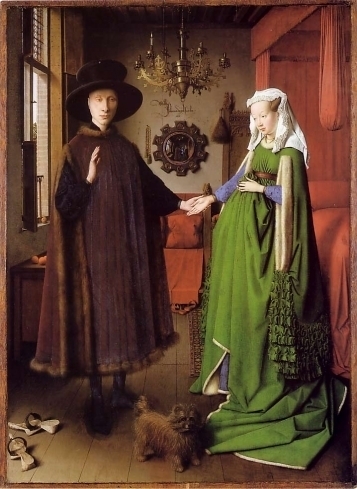 Wallpaper and background images in the Fine Art club tagged: fine art painting jan van eyck arnolfini portrait arnolfini wedding. This Fine Art photo contains kirtle. There might also be polonäse, polonaise, mantel, surcoat, and wappenrock.